The final Ukrainian military unit on the Crimean territory that has 49 MiG-29 aircraft in service, was captured by Russian forces yesterday. 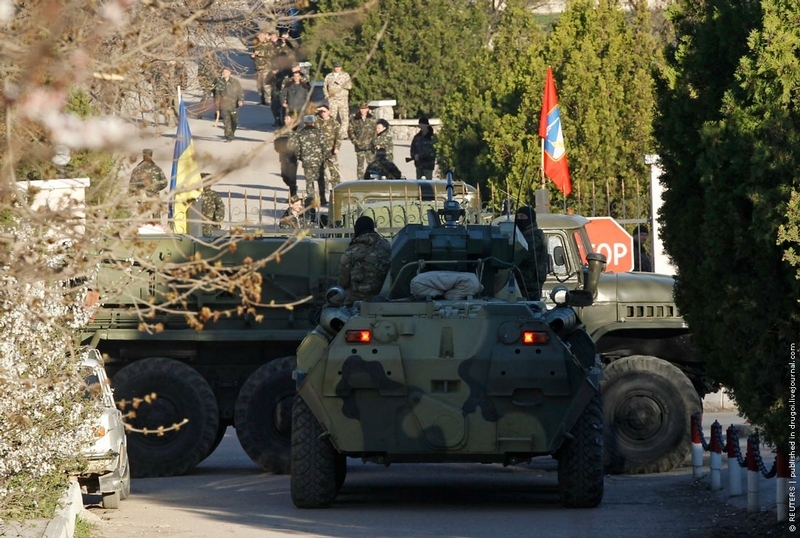 The base in Belbek had been holding its territory, having no support from the new Ukrainian authorities. Its military personnel, whose weapons were locked in the arsenal, were armed with clubs and one anti-aircraft machine gun. Following the fruitless negotiations, the gates of the unit were simply destroyed by the Russian armored troop-carrier. 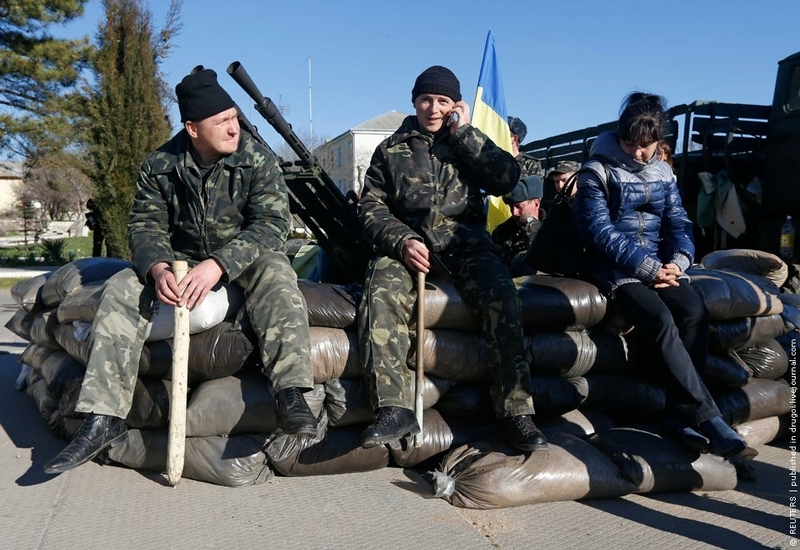 Ukrainian soldiers and their wives are waiting for the air base to be assaulted. The Russian armored troop-carrier was trying to ram the truck standing at the gates first, but then it simply went around it. 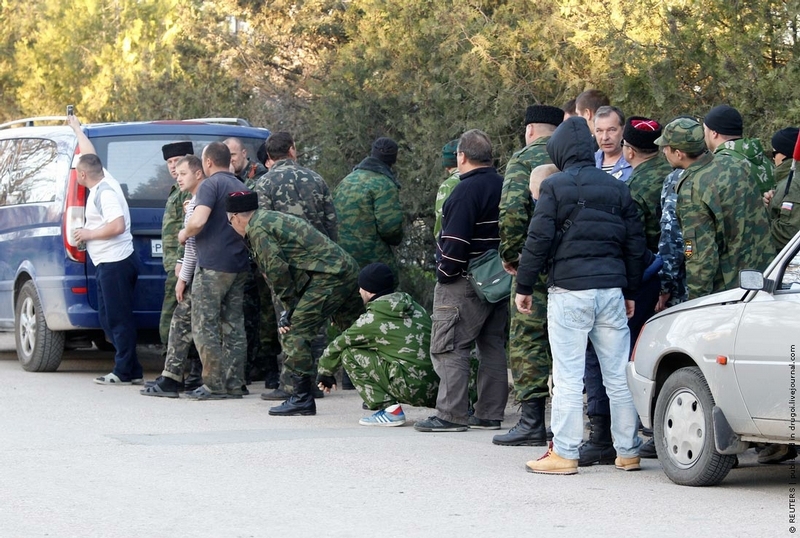 Participants of the Crimean “self-defence” are hiding behind the cars. 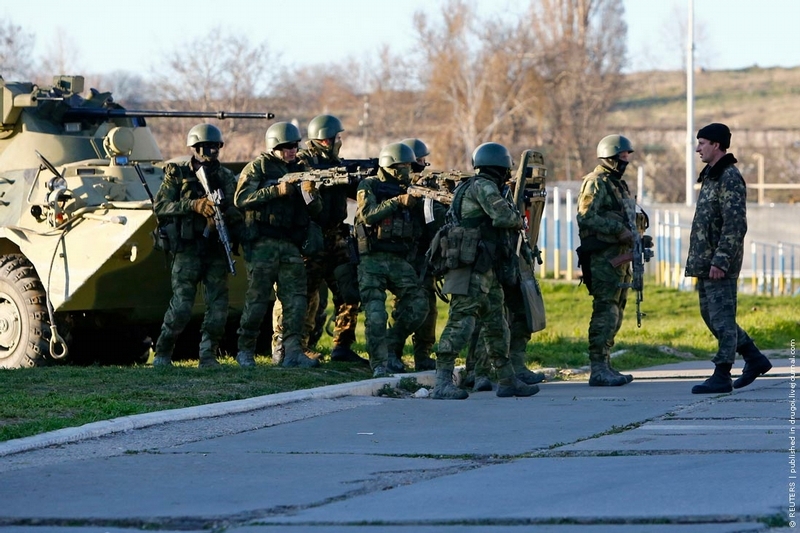 Russian soldiers on the grounds of Belbek military base. 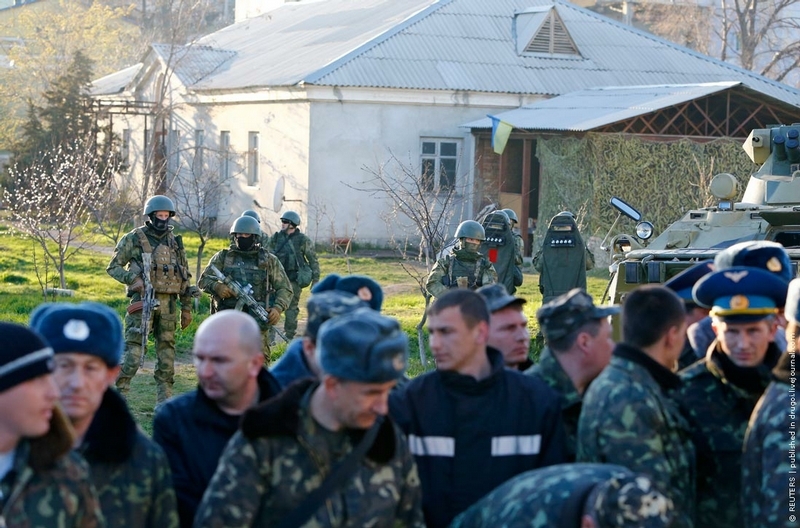 Detention of the Ukrainian soldiers did not last long. 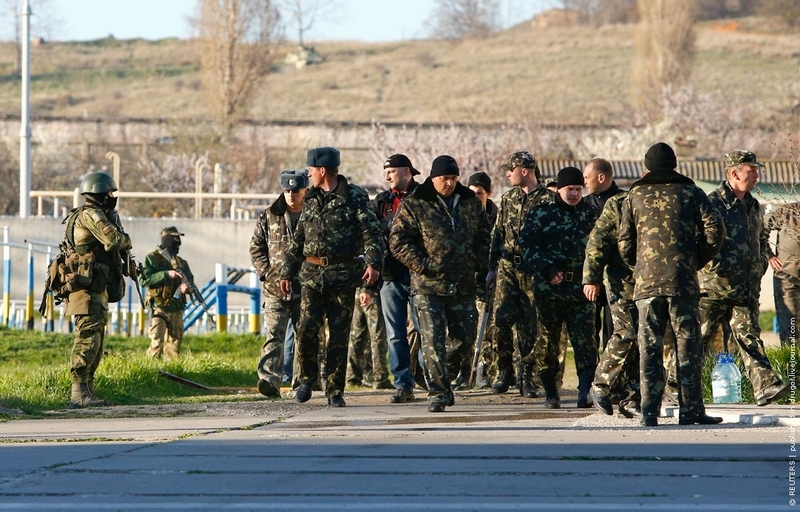 Apart from soldiers of the Main Intelligence Directorate, the capture of the Belbek military base was performed by some other fighters – from an unknown organization. 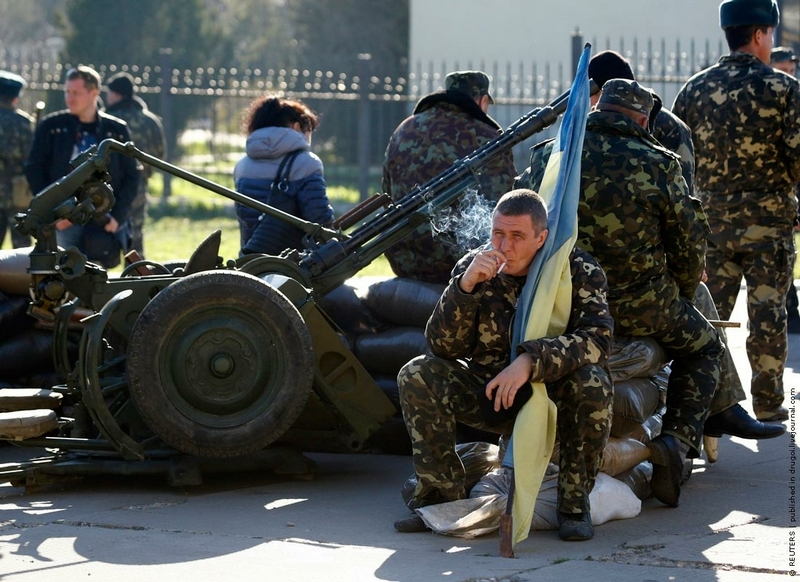 I feel so bad for the Ukrainian Military. 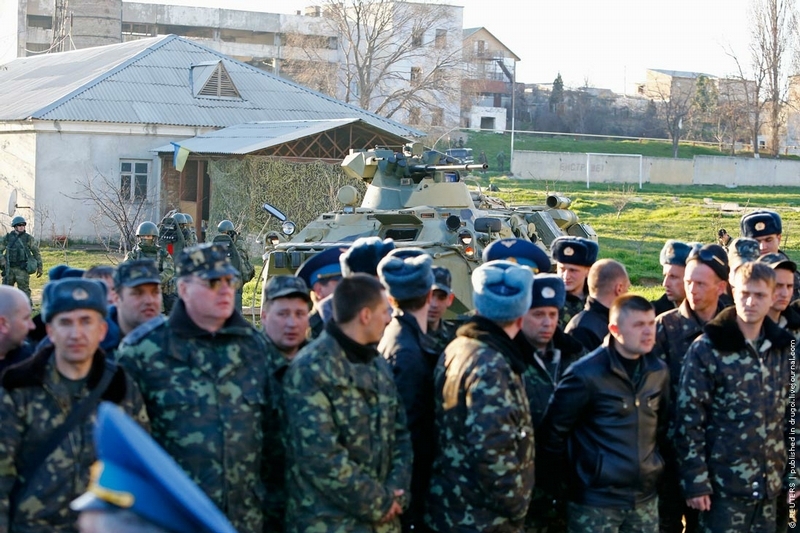 It would have been great PR for Russia and for Crimea if now they would say that the “conflict” is over lets talk about Ukrainian Navy in Crimea. Let them keep all the ships and let them use the port for free if necessary. Let them keep or share most of the infrastructure. It would be a great gesture to the Ukrainian Navy to show that they were never the target. Besides they only have one combat ship that would be useful most of the other ships are badly maintained and equipped. The Migs that were captured only have 4-5 that are flyable without major maintenance. Also they need to get weapons away from the volunteers, we have been lucky so far but they could still do something stupid. Let it be. Vladimir Putin has decided to be considered as a someone who cannot be trusted anywhere in the world now. He has done the worst he could for the image of Russia. And succeeded in just two weeks. Hands up ! Thats BS… The west describes President Putin as this all seeing all knowing all powerful Tzar. The truth is that he is swayed far more by public opinion then any western leader. If he lost the bases in Sevastopol and Ukraine joined NATO it would be the end of him. 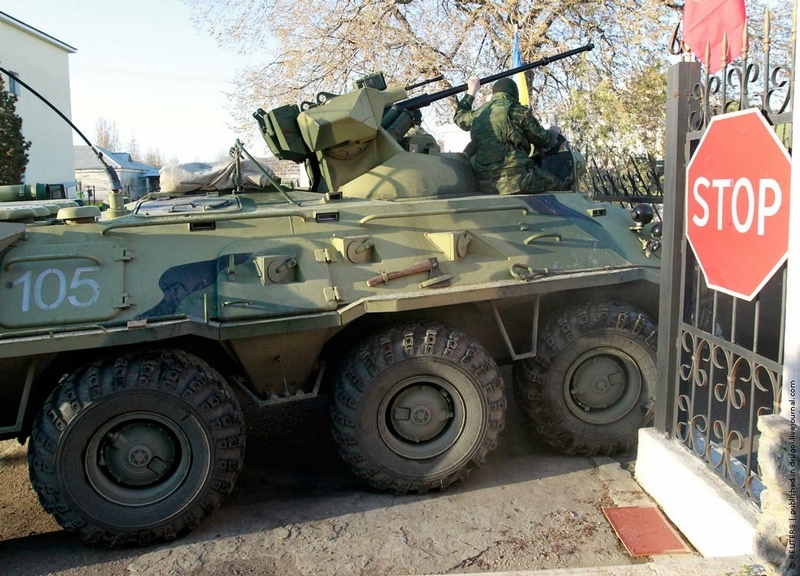 In the end the EU’s short sighted approach to dealing with Ukraine left him no choice. 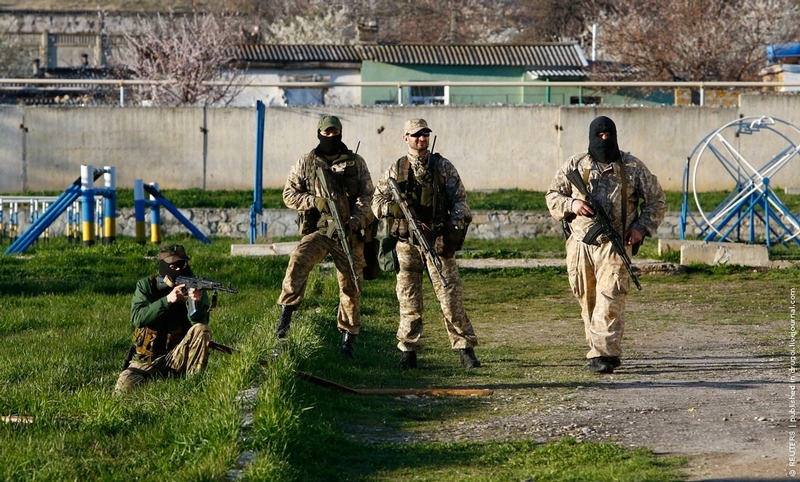 As far as the people of Crim, they will be better off then anything that could have happened under the Kiev government. Pensions and salaries for them will more then triple. Wile Kiev has already announced that the plan is to cut pensions by half. Agree! The EU is the new USSR. 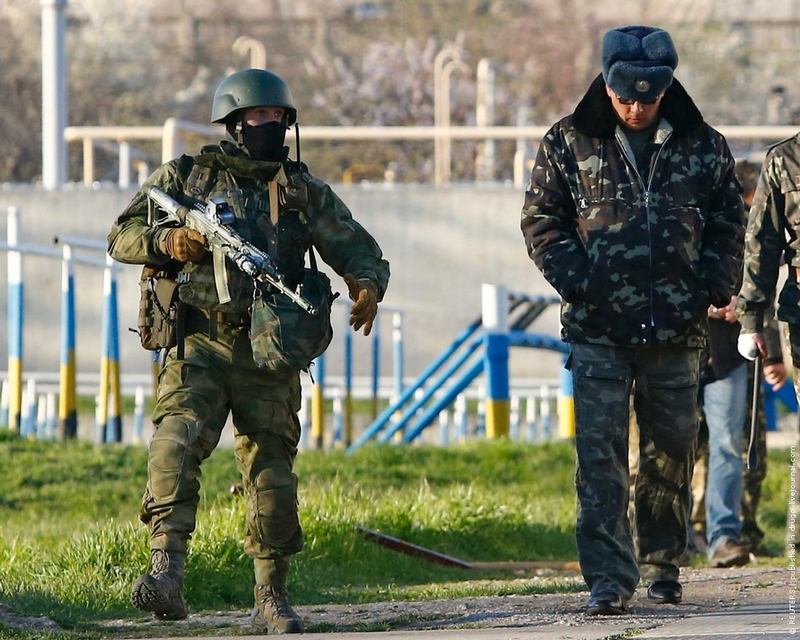 Comments reflect the situation : Russian troops have attacked Ukrainian troups who were rightfully in their base according to all international treaties signed between the two parties. They stole and destroyed their weapons. Mere act of war. Russia definitely deserves all the sanctions it will get in the coming days, months and years. If we go by your rules World Cup would be only 4-5 games and that’s it. The rest of the countries would get kicked out. Totally agree with the replies above. Some act of agression… Beggars belief! No blood spilt. 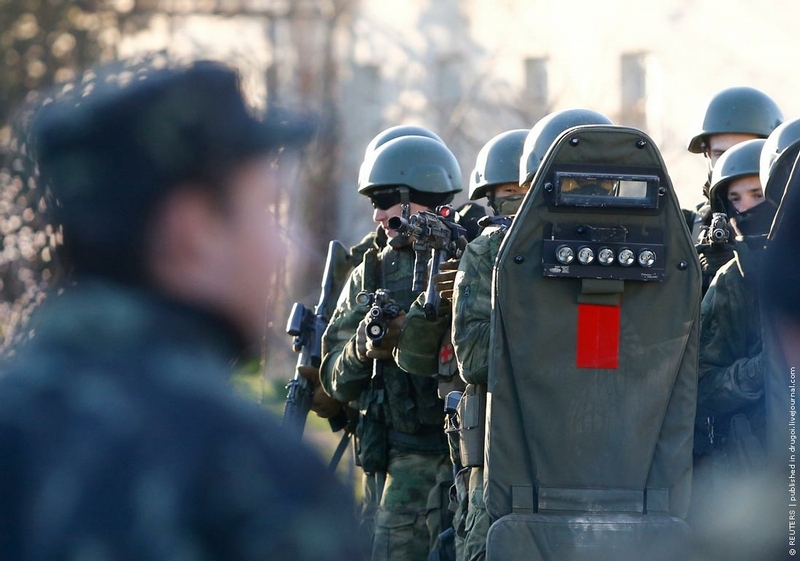 The Ukrainian units were given three choices: join the Crimean force, leave the Ukrainian armed forces and stay in the Crimea or stay in the Uk armed forces and leave the Crimea. 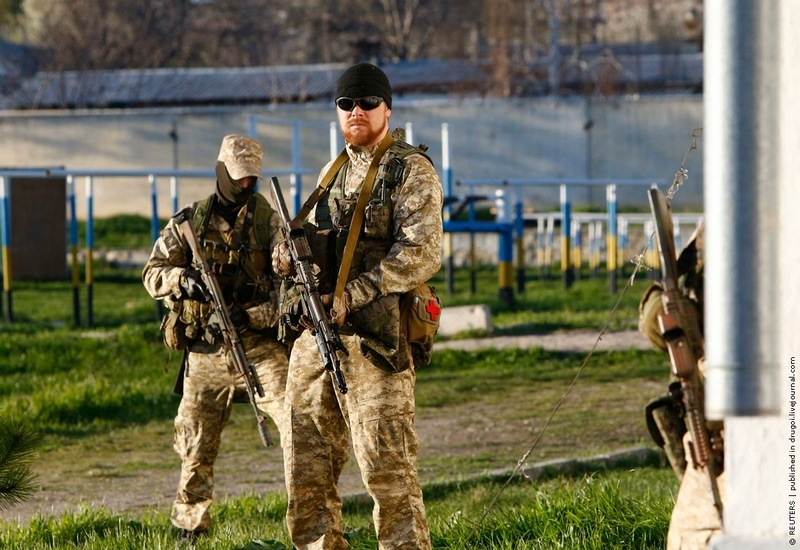 Those Uk soldiers and officers who were in the right state of mind realised that they themselves had been betrayed by the junta in Kiev who failed to understand the futility of any resistance and to order them to stand down and withdraw to mainland Ukraine. What were they supposed to do? Organise themselves into another heavenly sotnia for the flashmob? 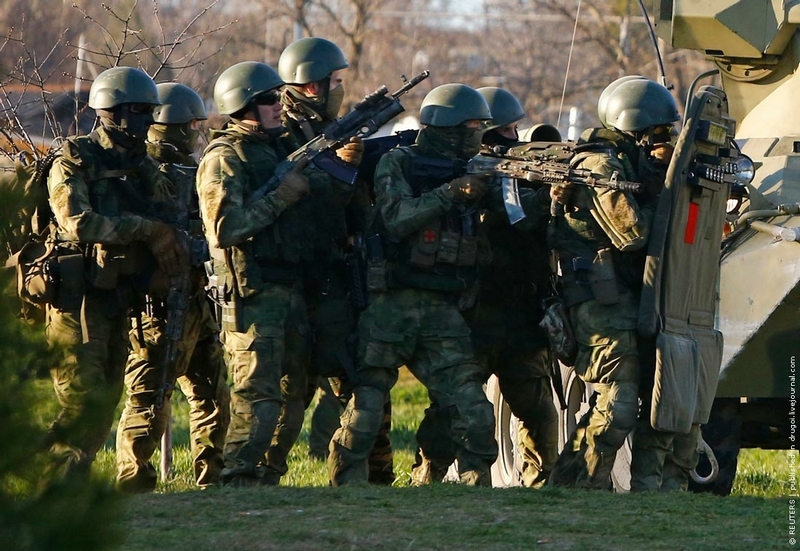 These disguised Russian troops are really good in combat against weak forces and civilians. I hope for their sake that they never have to fight NATO which would destroy them in quick form. When was the last time Russia fought a real enemy? Ww2? Georgia was aa weak opponent. Nothing to proud of there. 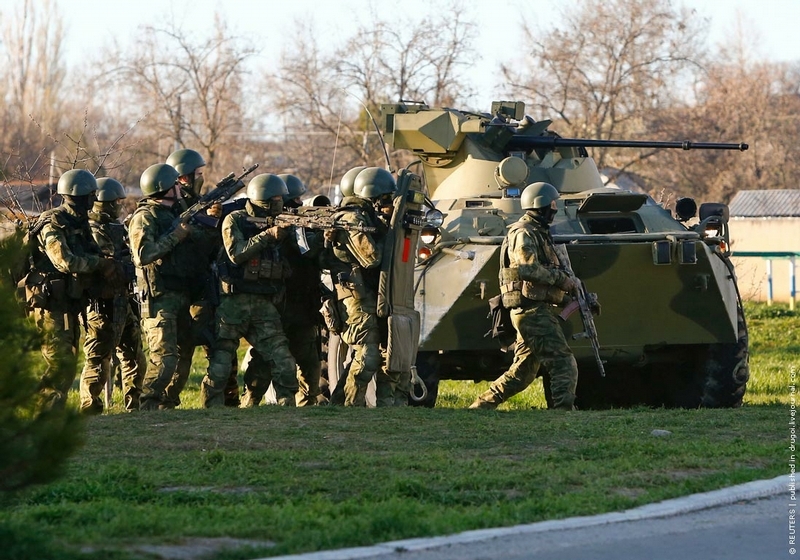 Crimea if the Ukrainian troop shot at the Russians Putin would full force invade ukrain. Iraq was not a war.. people realize this. WW2 was a war. We didn’t go into Iraq and level citys. If we did go to war with Iraq we would of air raided and leveled cities. We did search and destroy missions . Civilians where not the target. By the way Russia did not fair so well in afganistan. A typical american tard.. that believe they are exceptional more than others and the world should submit to their authority. LOL By the way..ONly one time NATO fought against a strong nation and lost. LOL Did anyone told you how NATO was wiped in North Korea when they invaded? I guess no one told you.. neither Holywood likes it.. because it will not be cool for americans to know how China humilliated the american and allies forces there.. and how a couple of dozen of Russian pilots wiped hundred of NATO planes in just one day without losing a single casualty. NATO is only strong against THird World nations ,without trainned military and without navy or Airforce.. but against strong ARmies they break. In Serbia war they gave you a really good fight .. shot down an F-117 and couple of dozens of NATO planes.. US and NATO have never fought any military with weapons within one generation of theirs. The only time was before NATO in Korea and that was a draw. Well, at least, they aim to avoid bloodshed, unlike the Americans who are always trigger-happy and whose motto is “shoot first, ask questions later”. As regards your bold assertion about fighting NATO, who is now going to leave A-stan with their tail tucked between hind legs? And that’s just after fighting peasants. But if NATO ever dare attack Russia, nobody will be a winner as nukes will rain down on your sordid arse like cows’ turds in a hail storm. I dont get people like this.. one minute they claim Russia can beat the whole world and brush USA off to the side like it’s nothing then they say the NEED to use nukes to win a war with the west.. I don’t understand where all this Russian hate towards America comes from. Neither country if perfect. Both have great citizens. You can not blame other people for the problems you have in your own country. Nothing good will come up out of this.One corrupt government is replacing another. Nice pictures, leading to a secure world. P.S. The Soldier with the red beard could be ME. In one way I’m glade that (if it was necessary) west can clearly see the value of Russians international agreement. Maybe we should listen again the Churchill discourse from 1946, when he use for the first time sintagm: “iron curtain” and he describe rusians as they are. On short and medium time span, this movement will force EU to find his own energy resources and stop investments in Russia because of his unpredictability. 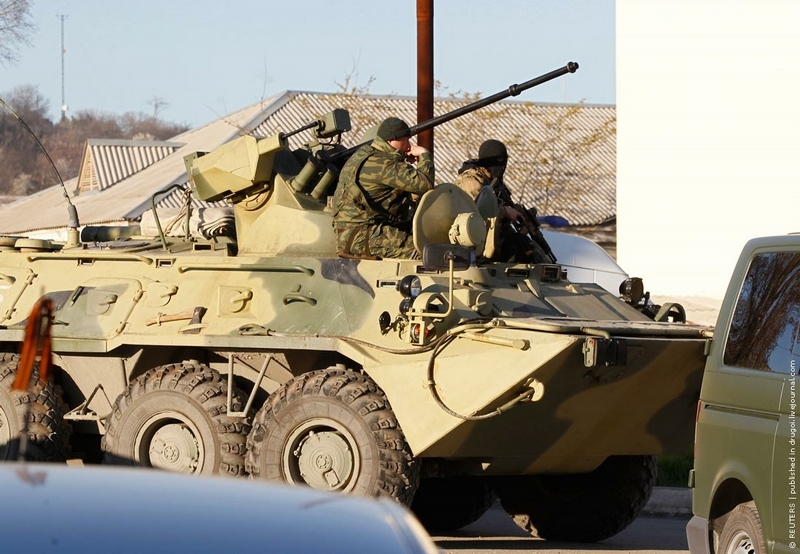 Putin is an aggressor – it is now clear even to a child, nothing can justify the invasion of a foreign country. Everyone knows what the outcome of Hitler, Napoleon, and the like. The same thing will happen to Putin, hopefully soon.